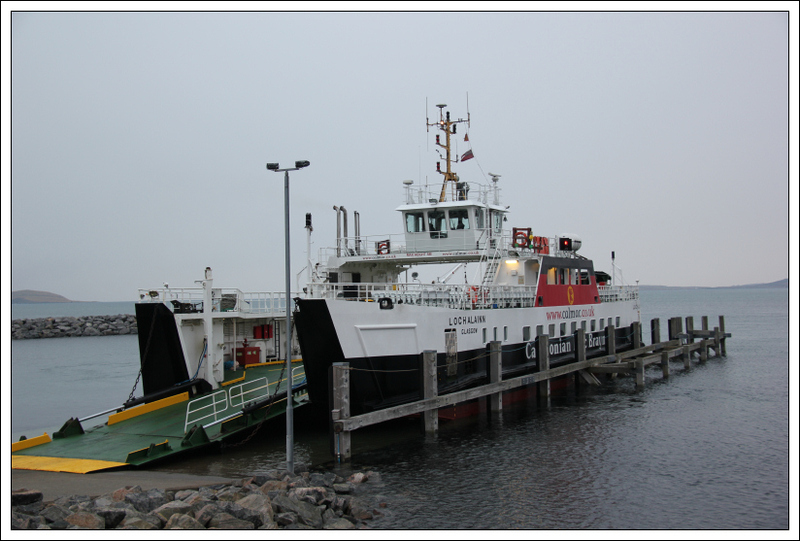 I set off early this morning to catch the first ferry from Aird Mhor on the Isle of Barra to the Isle of Eriskay. 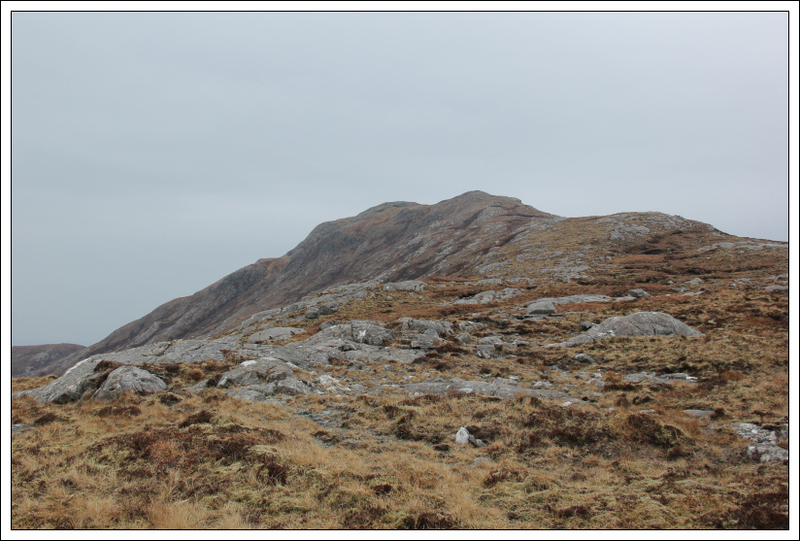 On arriving in Eriskay, I caught the local bus from the Eriskay Slipway to the Askernish road end. 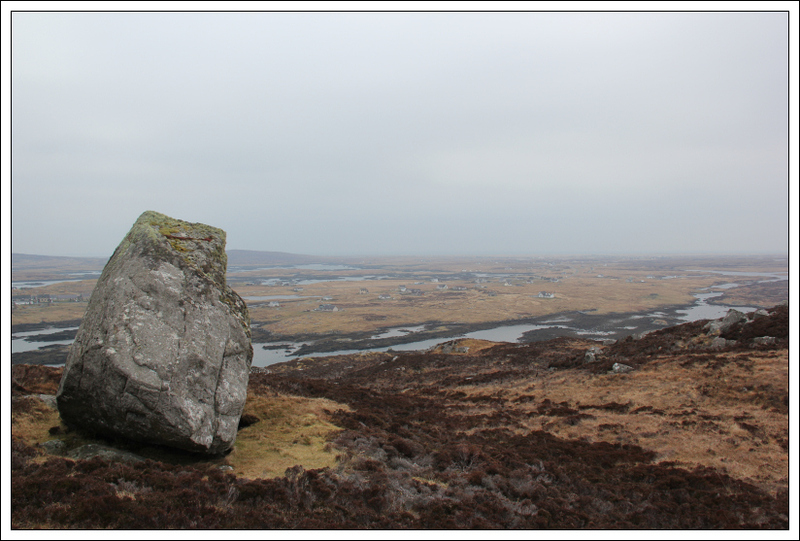 Unfortunately, my run of good weather in the Outer Hebrides had come to an end. 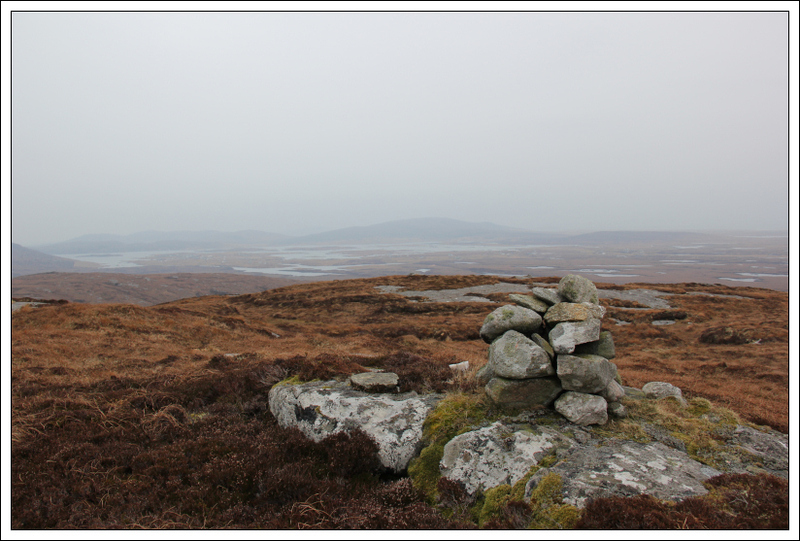 Instead of blue sky, today was mostly drizzle and light showers. 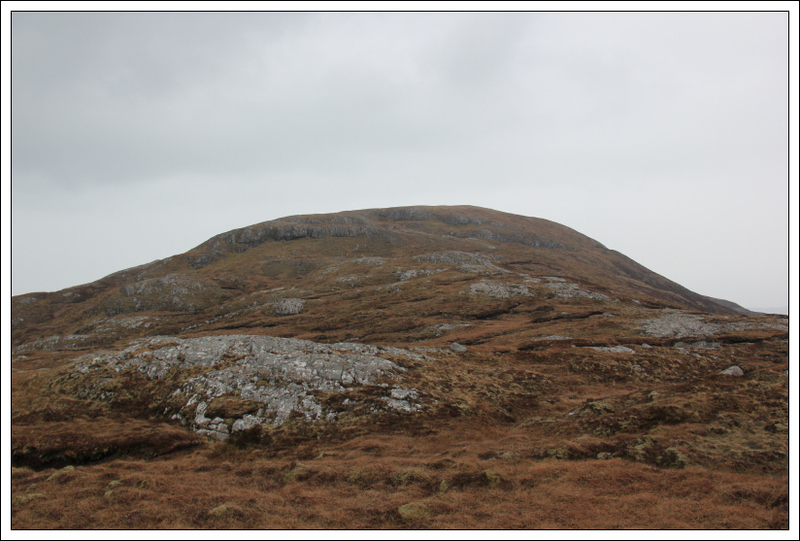 My intended route today was to undertake a traverse from Askernish to Lochboisdale via Leathabhal, Stulabhal, Triuirebheinn and Beinn Ruigh Choinnich. 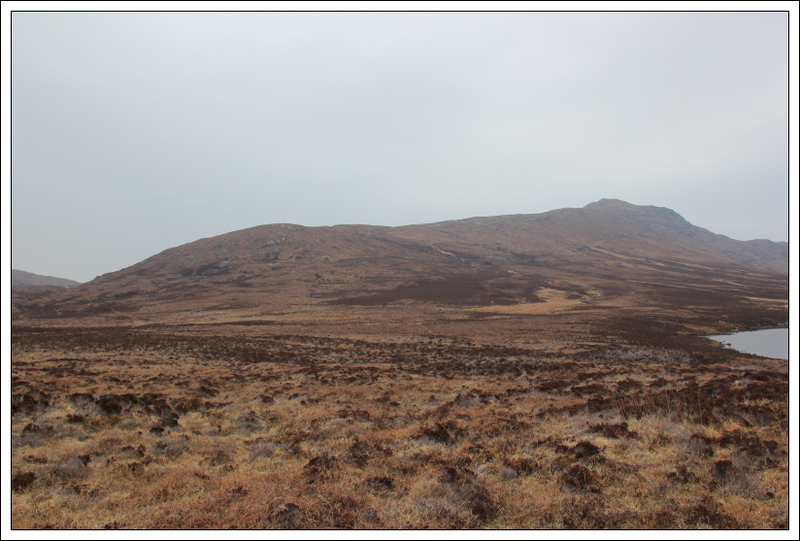 This would allow me to approach Stulabhal via its North-West ridge, which looked quite nice on the OS map. 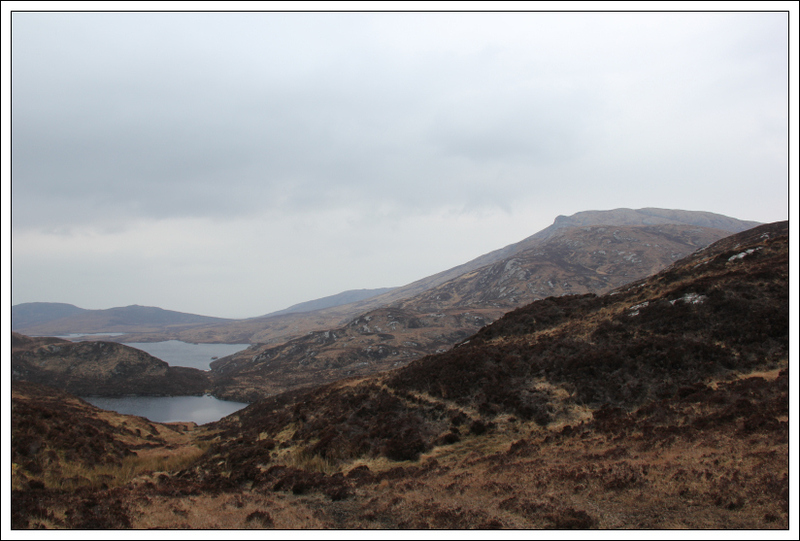 I could find no report on the internet for this route but did find a few photos on Geograph. 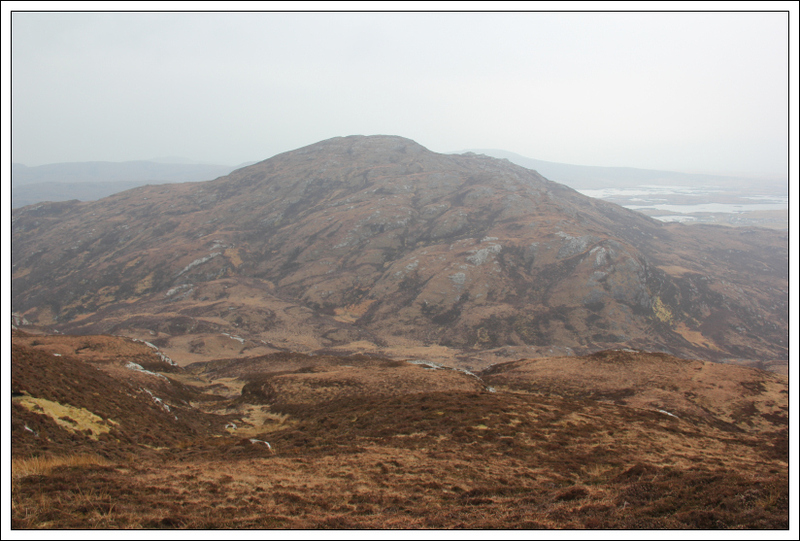 I set off walking along the track towards the transmitter on Aisgerbheinn. 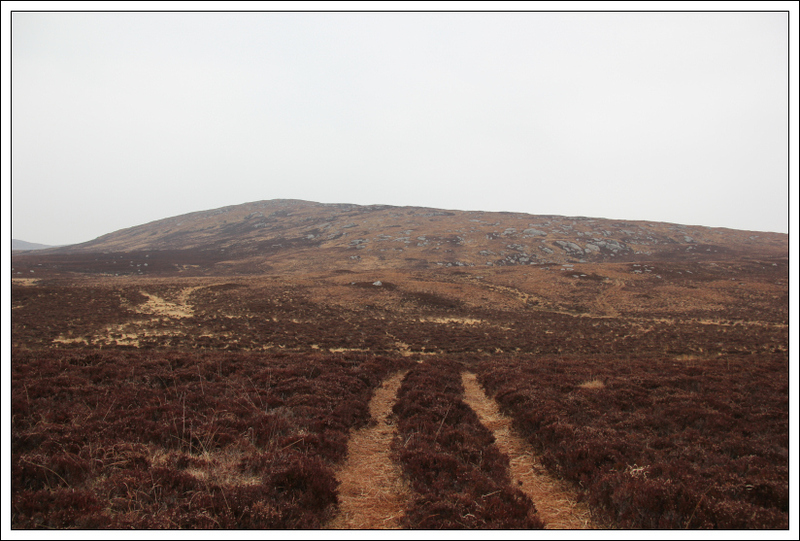 It was my intention to follow this track, for as long as it was taking me in the general direction of Leathabhal, and subsequently heather-bash the rest of the way to Leathabhal. 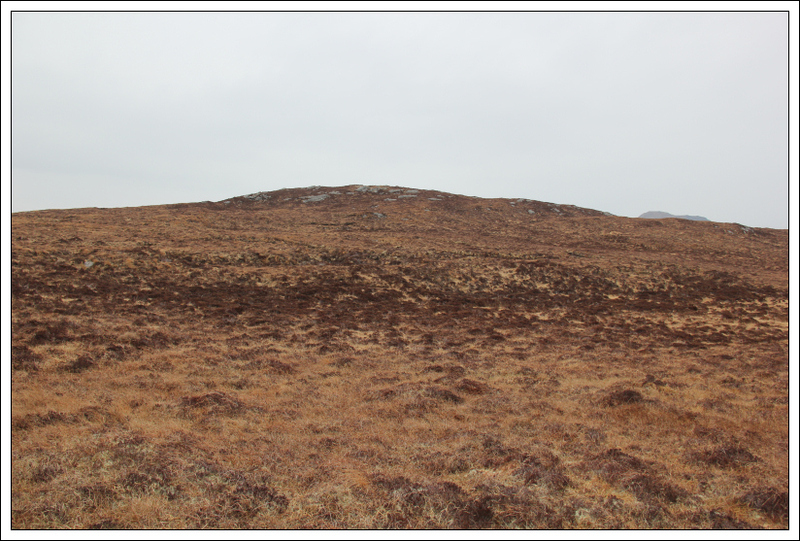 To my surprise and delight I found a good vehicle track leading from the transmitter track as far as the col between Criribheinn and Leathabhal. 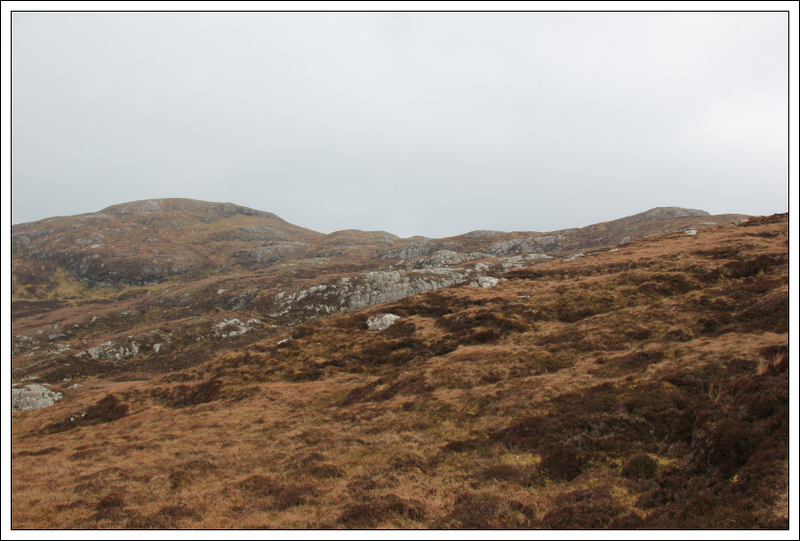 I opted to head up Leathabhal a short distance beyond the col between Criribheinn and Leathabhal. 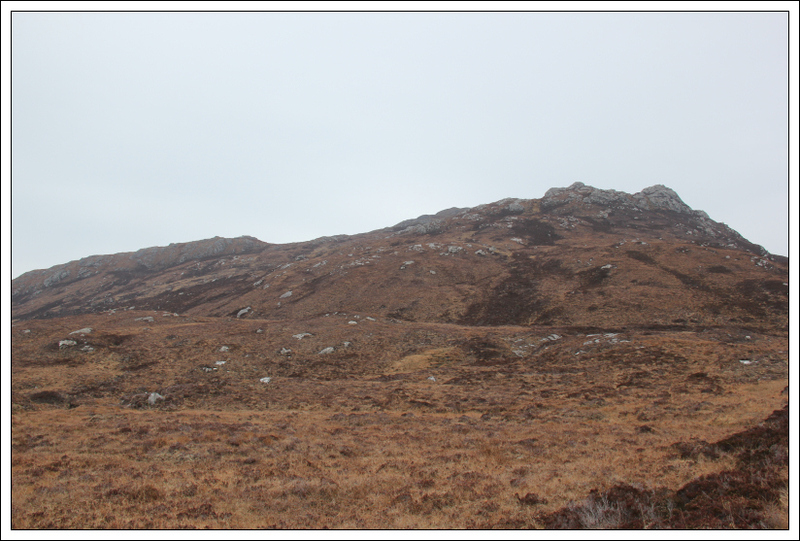 The ascent was straight-forward. 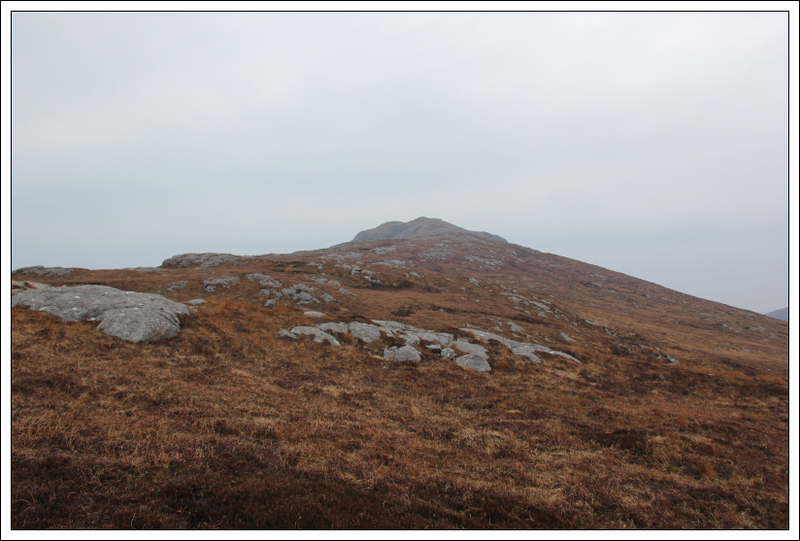 On reaching the summit of Leathabhal, I was a little surprised to find a cairn marking the summit of this HuMP. 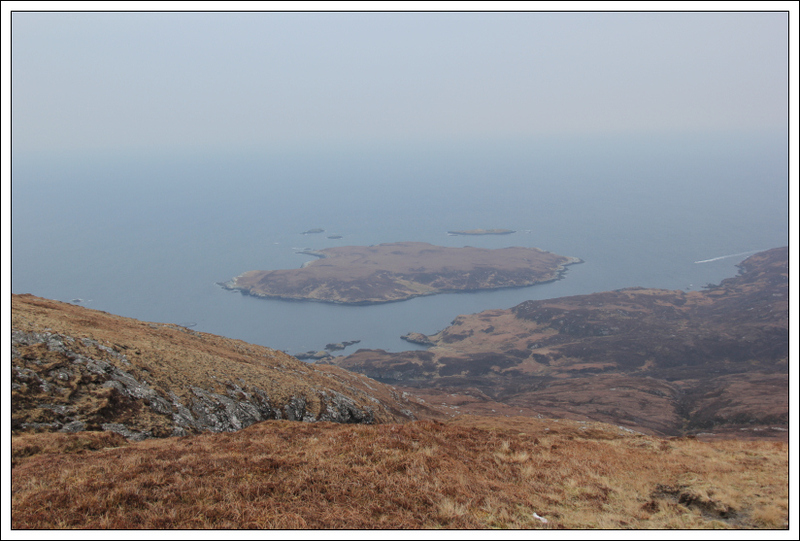 From the summit of Leathabhal, I made my way across to the summit of Beinn Hurabhat. 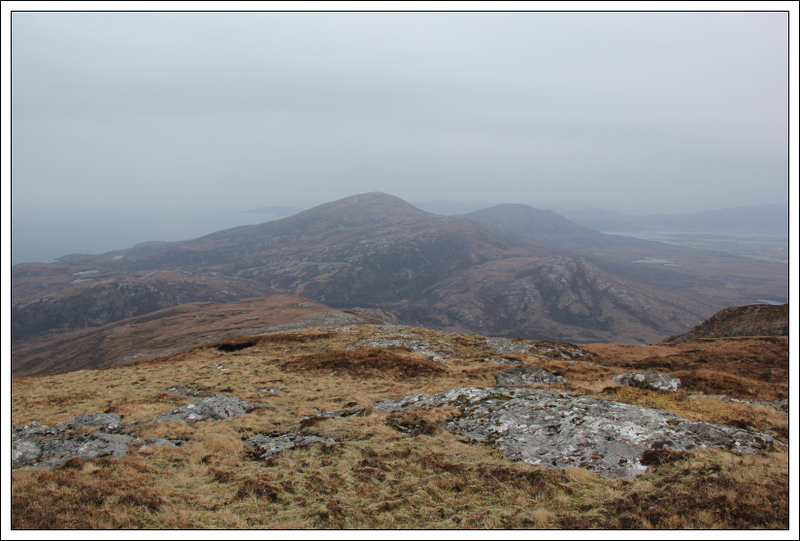 From the summit of Beinn Hurabhat, I got a good view of the North-West ridge of Stulabhal. 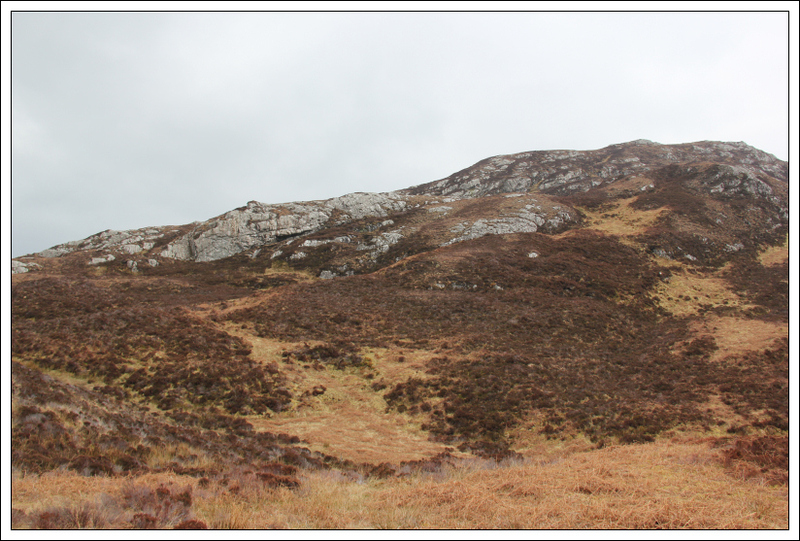 After skirting round Loch Hurabhat, I picked up and followed another vehicle track leading to the start of the North-West ridge of Stulabhal (and on to Loch Snigiscliet). 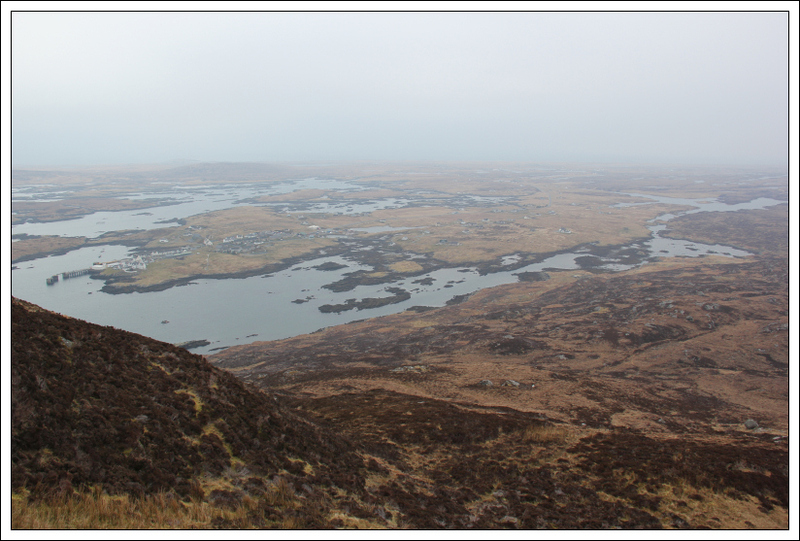 I particularly liked the view down to Loch Snigiscliet. 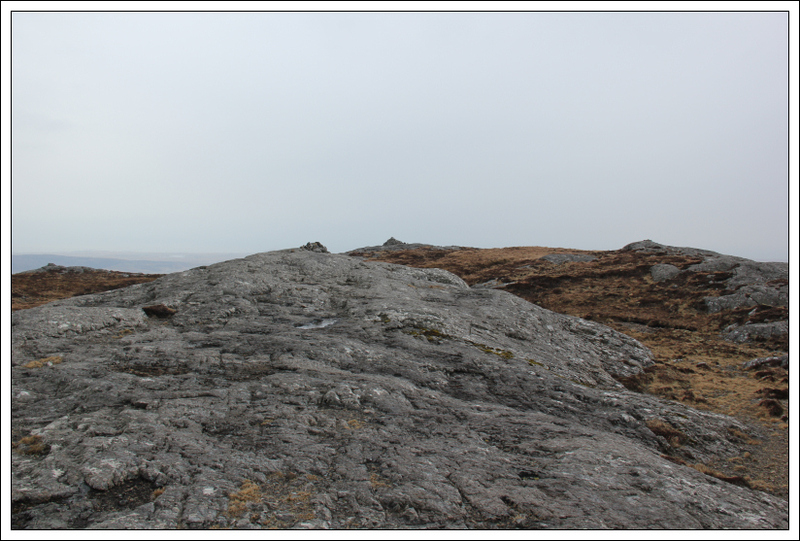 The ascent of the North-West ridge was nice and easy - lots of nice slabby rock to walk on. 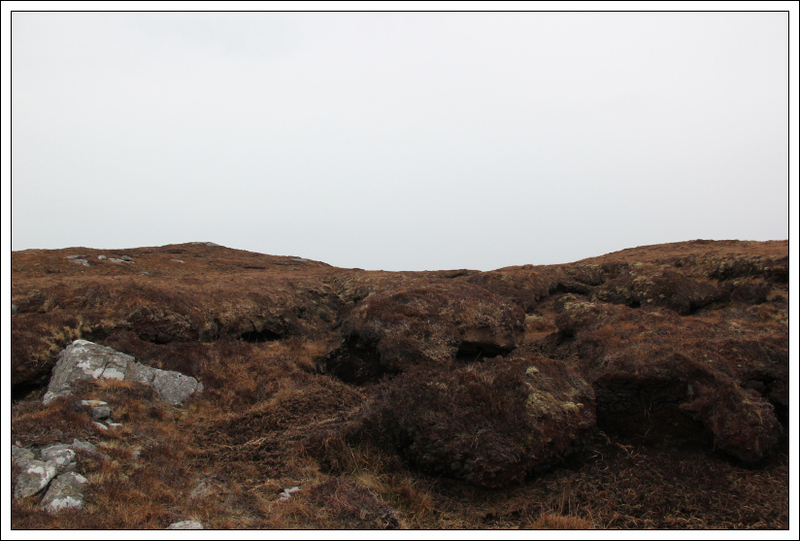 It was great to reach the summit of Stulabhal. 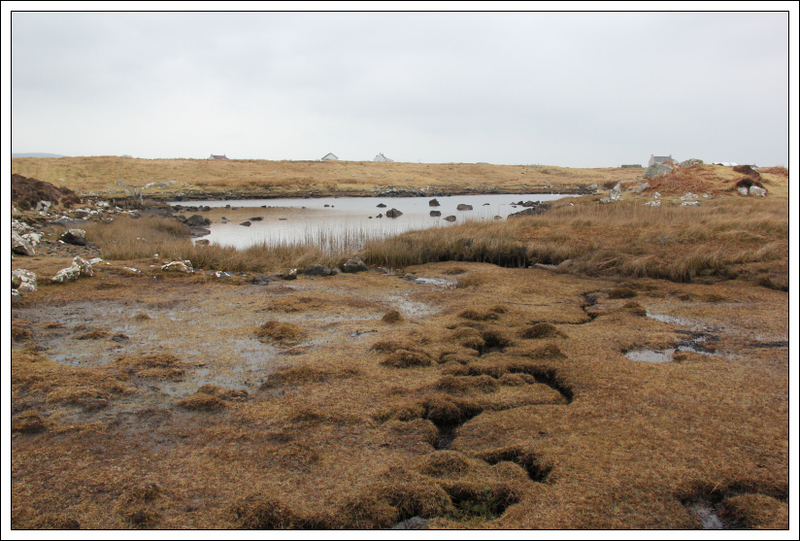 This was the remotest of my remaining three Uist Marilyns. 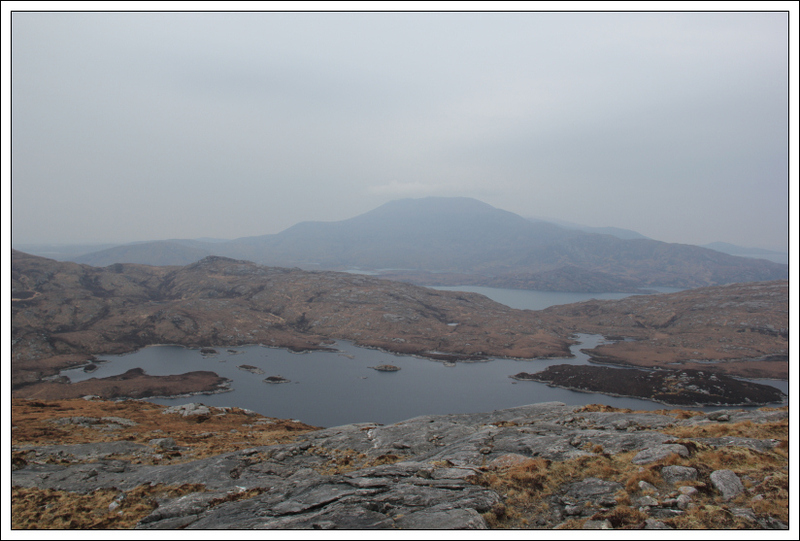 I descended the South-East ridge of Stulabhal towards Bealach a’Chaolais. 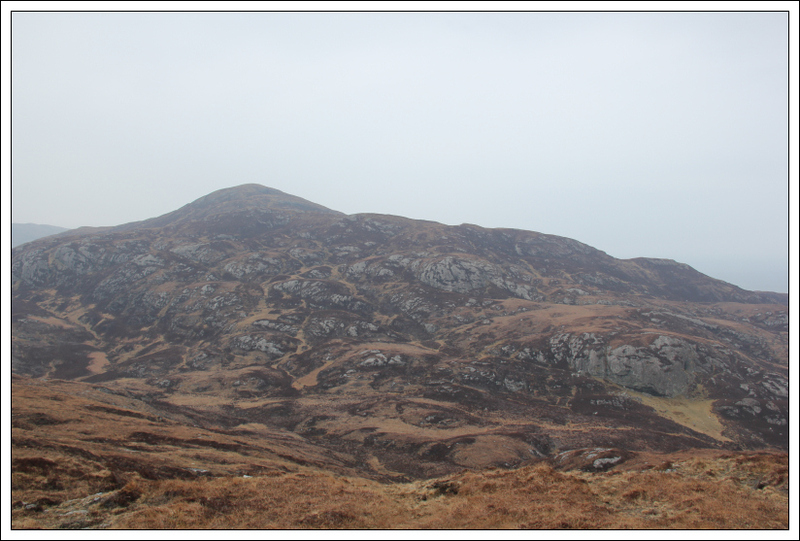 It was originally my intention to ascend Eliogar en-route to Triuirebheinn. 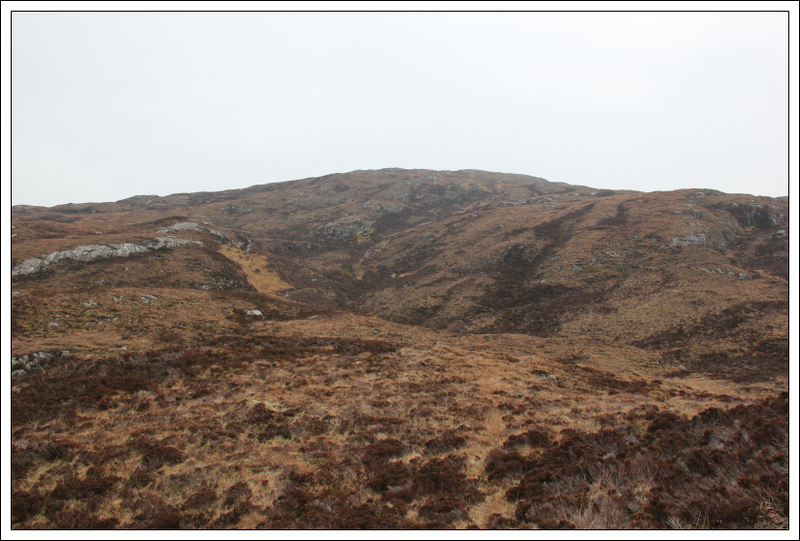 However, during the descent of Stulabhal, I spotted a path skirting round the side of Eliogar heading towards the col between Eliogar and Triuirebheinn. 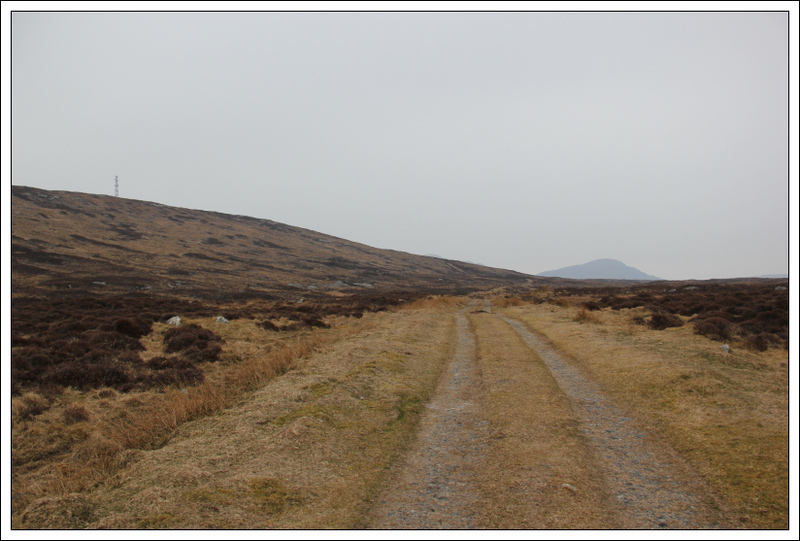 I used this path to skirt round Eliogar. 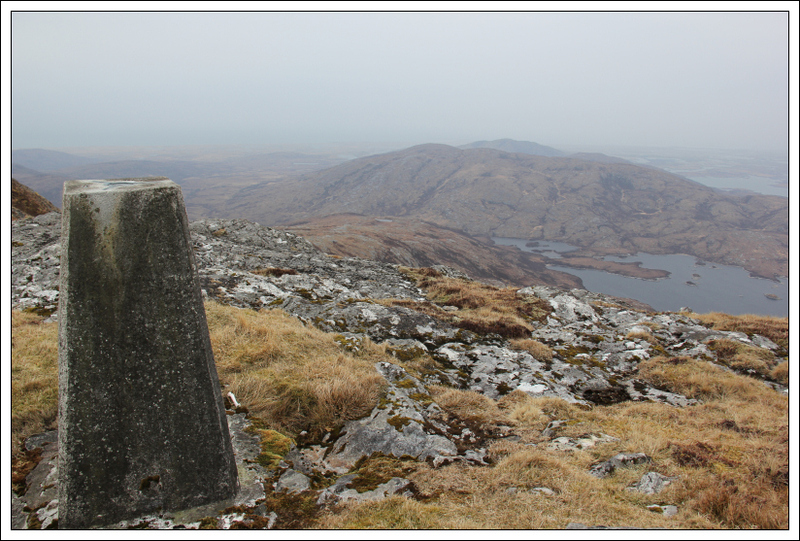 It took 90 minutes to get from the summit of Stulabhal to the summit of Triuirebheinn. It felt longer! 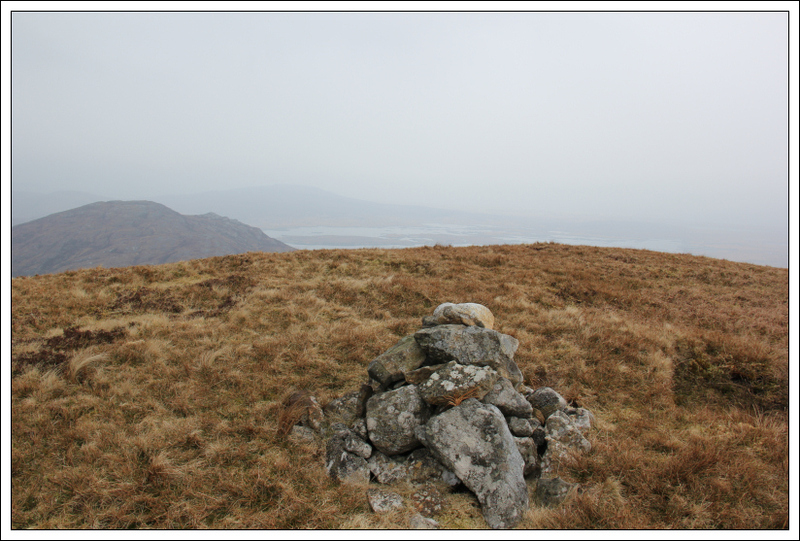 On reaching the summit of Triuirebheinn, I checked my phone to find out the time. 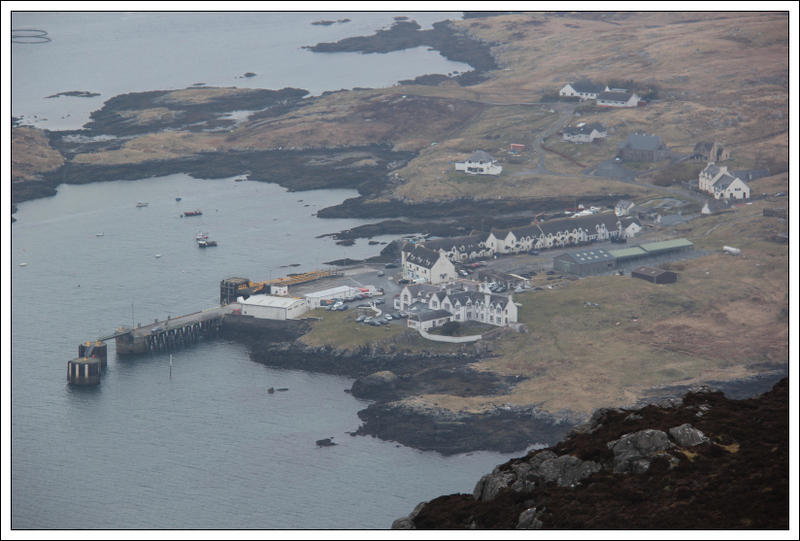 I was conscious of not missing my last ferry back to the Isle of Barra. 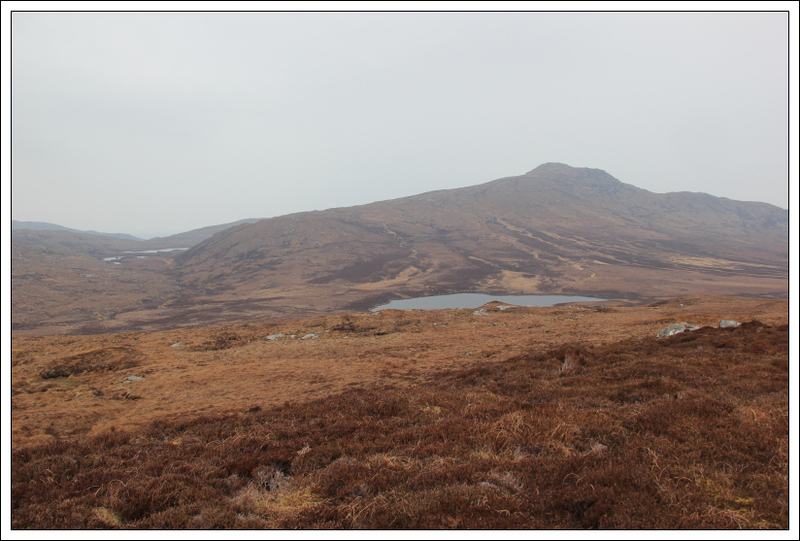 I still had plenty time and so decided to continue on to also ascend Beinn Ruigh Choinnich. 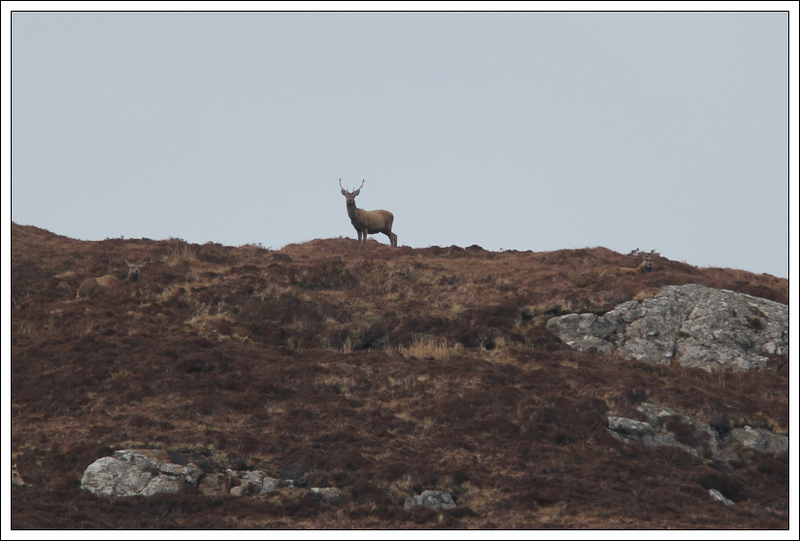 During the descent of Triuirebheinn, I saw my only deer of this trip - a single stag. 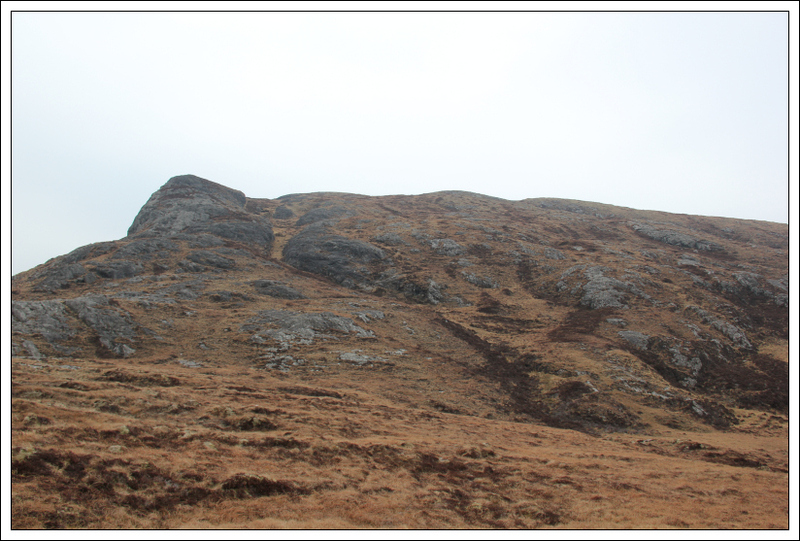 I was quite impressed with the rockface at Bealach an Easain. 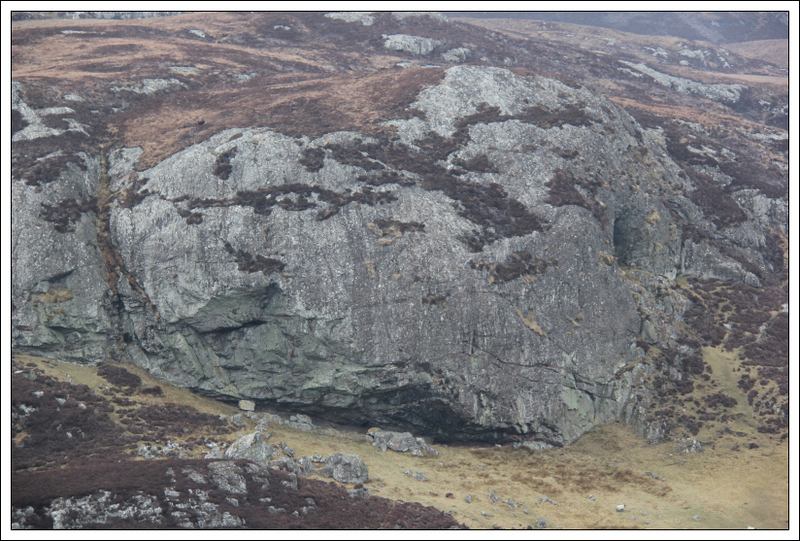 To get an idea of scale, check out the sheep in the bottom of the next photo. 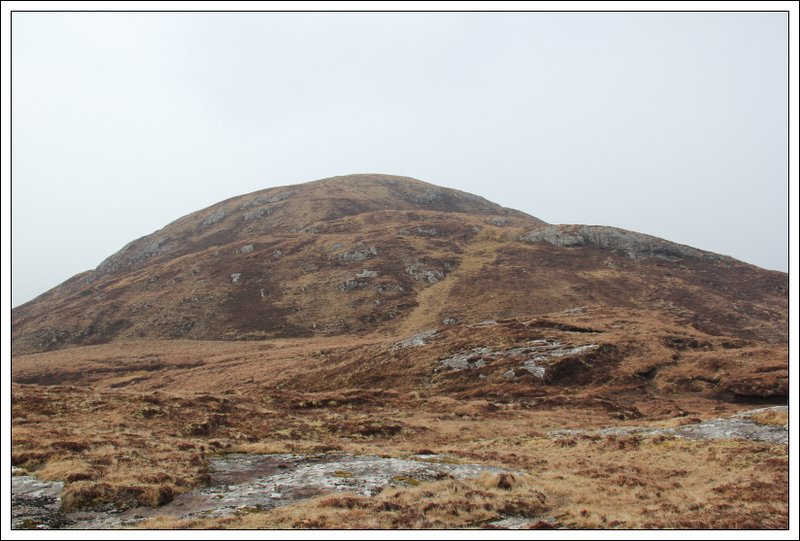 The ascent of Beinn Ruigh Choinnich was easy, circa 150m ascent up grassy slopes. 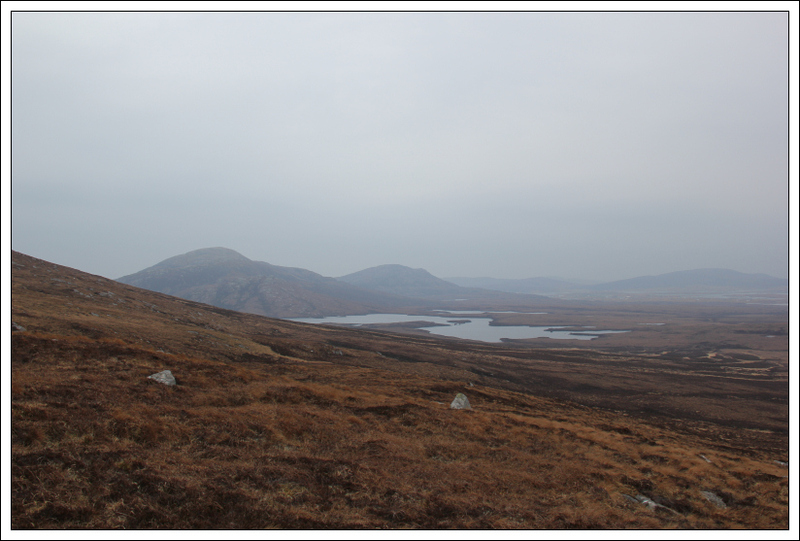 I counted eight cairns around the summit area of Beinn Ruigh Choinnich. 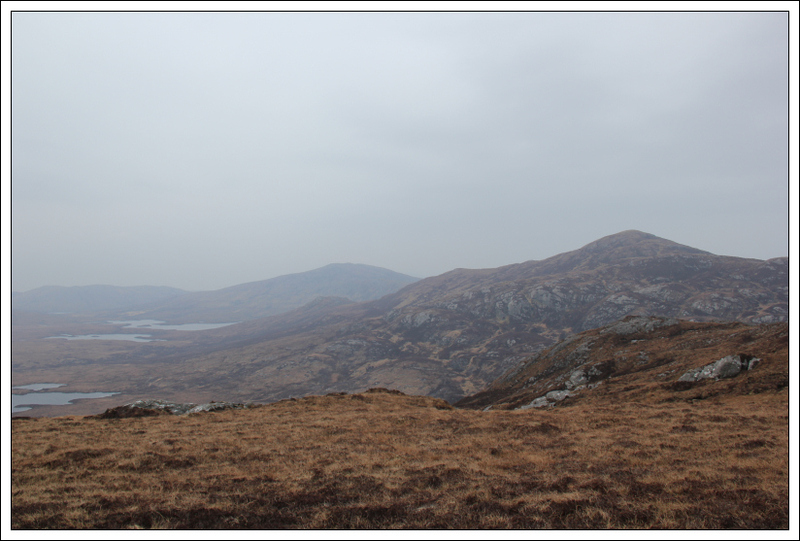 I didn’t visit them all but did visit the ones that were potentially the highest. 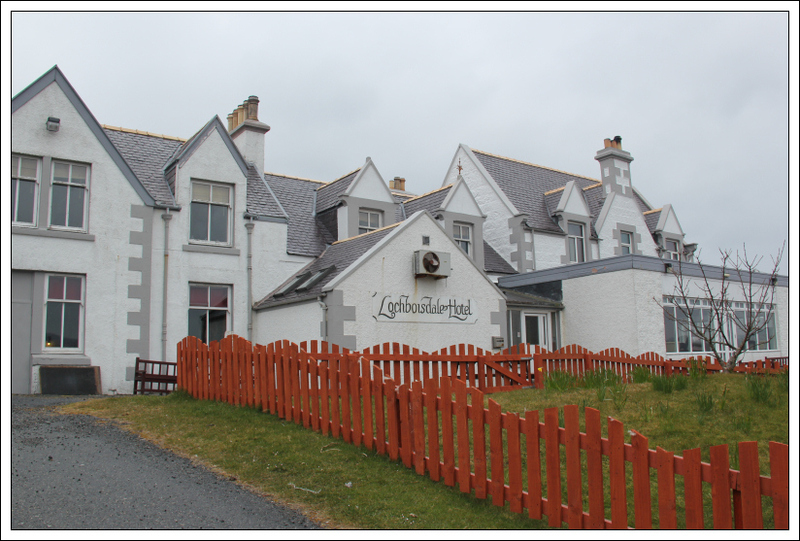 I wondered if my friend Derrick had already been here . 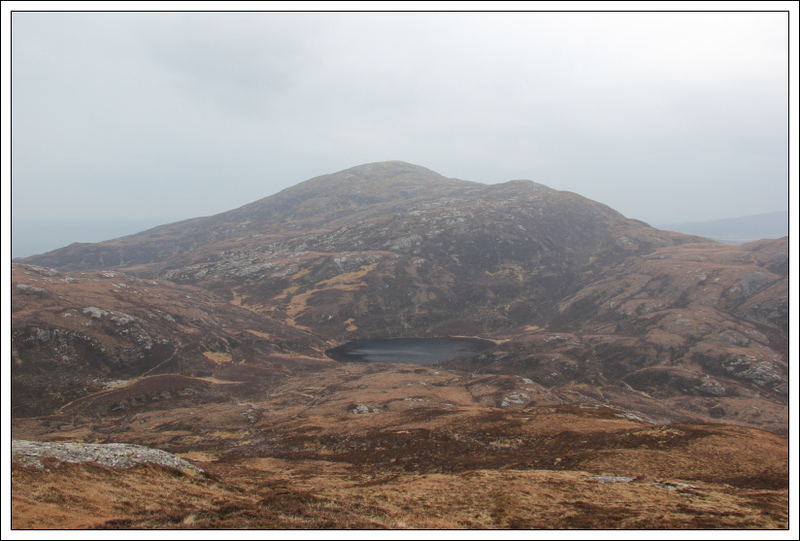 Beinn Ruigh Choinnich sits directly above Lochboisdale. 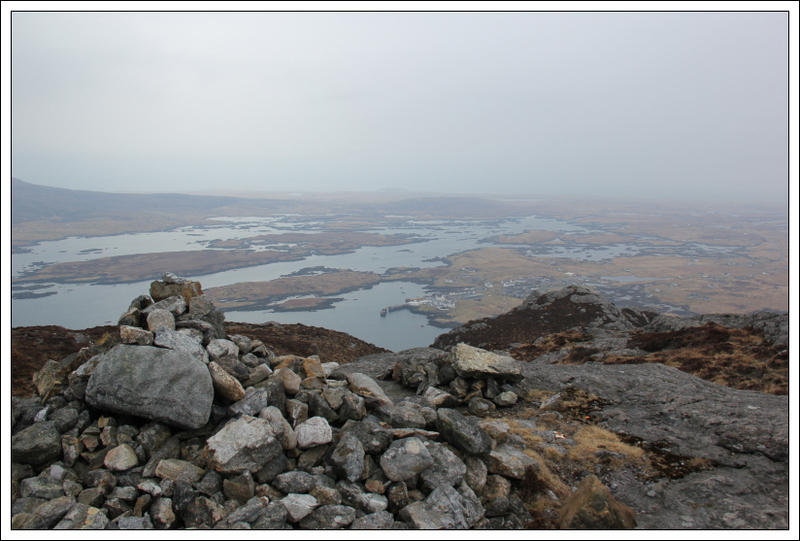 There are good views down to Lochboisdale from the summit. 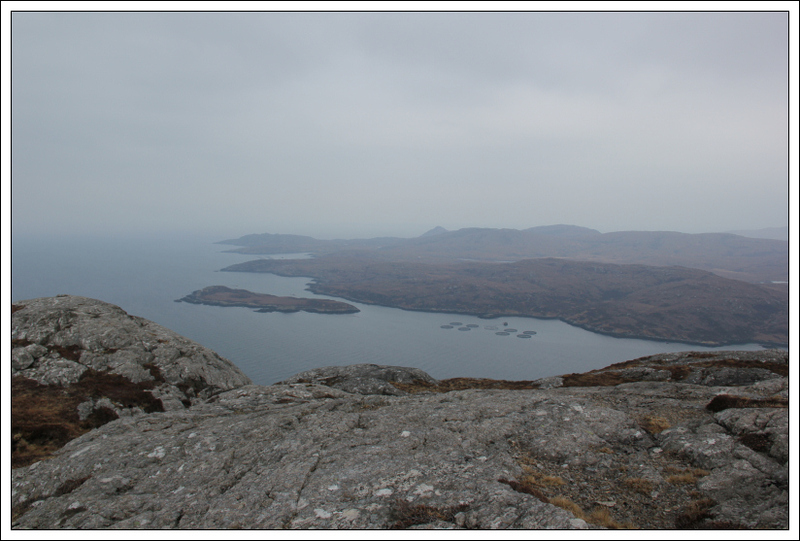 From the summit of Beinn Ruigh Choinnich, I descended via its North-West ridge. 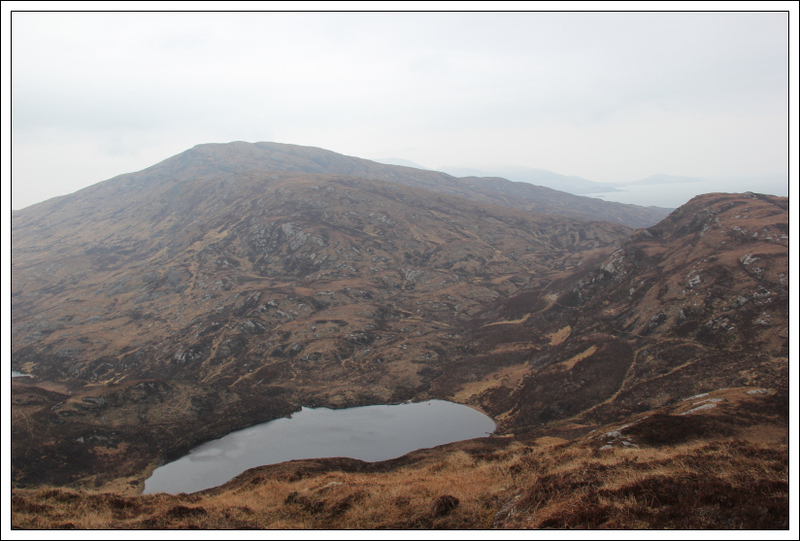 During the descent, I decided to head for Loch Baghasdail and follow the edge of the loch to Oratobht. It was worth walking along the lochside as I saw a variety of birds on the loch including Heron, Mute Swans, Mallard, etc. 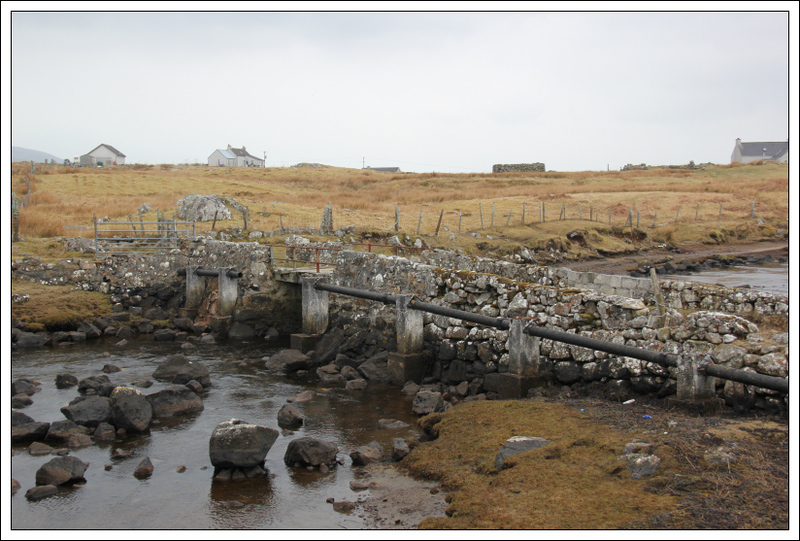 On reaching Oratobht, I crossed the bridge and then walked into Lochboisdale. 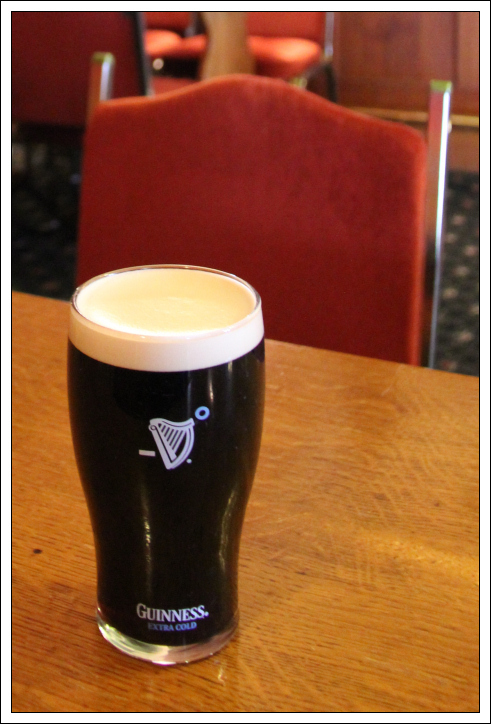 Always great to finish a walk at a pub .